While perusing the frozen food section the other day, I came across Amy's Gluten Free Dairy Free Rice Macaroni & Cheese. I've been wanting to try it out for awhile, but I never remember to look for it. 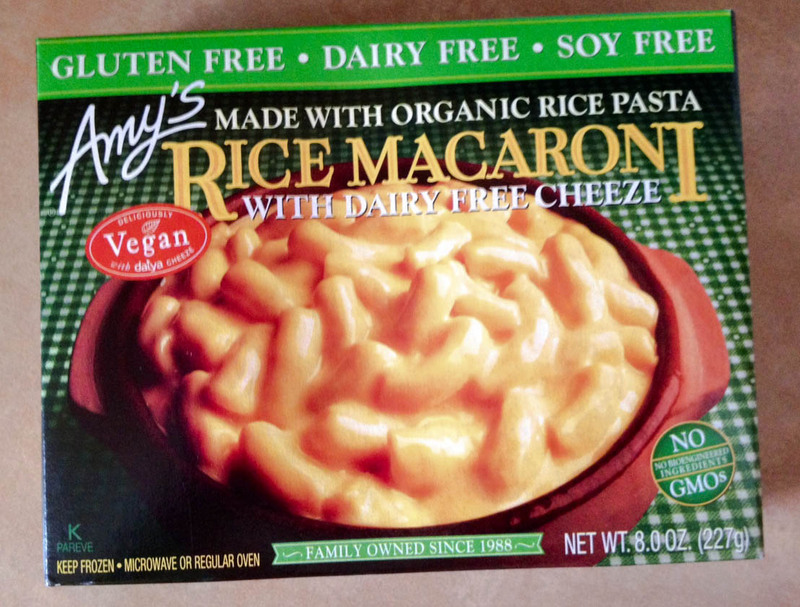 Needless to say, I finally broke down and bought it, though I know that I can make vegan mac and cheese much healthier and for about a third of the price. This turned out to be the real deal, though. 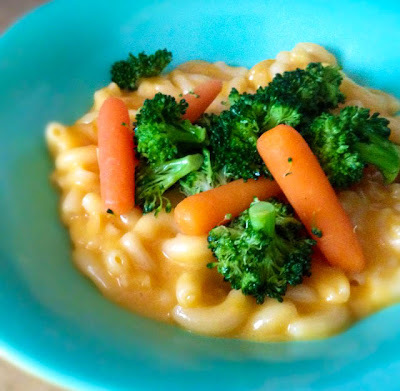 If you're ever feeling a little mischievous, this mac and cheese is for you. They used Daiya Dairy Free Cheddar Cheeze in the sauce, which, in my opinion (and I'm pretty sure many others in the vegan community agree), is one of the best dairy free cheeses on the market. I was a little disheartened when I turned the box and looked at the nutrition facts, however. 520 calories for one serving? 22 grams of fat? That was a bit of a bummer, but I was surprisingly pretty full half way through eating it. To make it a little healthier, I steamed some broccoli and carrots with a little olive oil and salt and added them to the dish. It was delicious. The richness of the "cheese" sauce will make you feel satisfied and fuller faster, but the rice macaroni helps in not weighing you down....and it does have 8 grams of protein, after all. Not too shabby. I would definitely recommend this to anyone who's feeling the need for quick and easy comfort food. It really does taste like mac and cheese. Where I found it: Publix freezer section.